When the Minister of Labour and Employment, Chris Ngige issued a statement the other day directing banks to stop the retrenchment of workers, and that banks which failed to comply may have their licences revoked, it showed the kind of concern for workers’ plight that is best summed up as playing to the gallery. 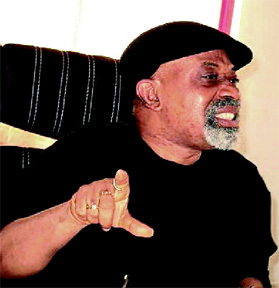 While the government must remain vigilant to the welfare of workers and Nigerians in general and ensure proper, due process and enforcement of labour laws, the flippancy with which government functionaries like Ngige make statements, especially outside the country’s shores, suggests the need to improve on their job appreciation and on communication process within this administration. Beyond poor communication, the directive raises several issues bordering on the general state of the economy, the unemployment situation, financial system stability, Central Bank’s independence, labour laws, and government-business-labour relationship. This directive begs several questions. Is the minister not usurping the role of the Central Bank of Nigeria (CBN) that has been charged with banking supervision, issuing and withdrawal of the licences of banks? Is the minister not giving further ammunition to those who claim that the independence of the CBN has been eroded by this administration? Is the minister aware of the general downturn in the economy? As the minister is willing to revoke the licences of banks, how many other companies in other industries that are laying off staff would the government sanction? As the public sector may also sack workers, who will sanction the government at the Federal, state, and local government levels? Nigeria’s economy is virtually in a recession, even though this has not been technically declared. The economic downturn is largely as a result of falling commodity prices, which declined by over 70% from its highest point in mid-2014, the lack of oil savings buffer to pursue counter cyclical policies, recent oil production cuts by about a quarter, and delays in passing the 2016 budget. In such an economic downturn, consumers’ confidence and purchasing power are eroded and business sales, revenue, and profitability plunged. In order to protect market-share and maintain a semblance of returns to shareholders, businesses cut operating costs, slash investment, and lay off workers. It is no wonder that the unemployment and underemployment rate have climbed to their highest level of 31% in 2016. Banks are not immune to the general state of the Nigerian economy. While the overall economy contracted by 0.4% in first quarter of 2016, the financial industry registered an 11% decline in the same period. The magnified decline in the growth rate of and decline in the value added by the financial industry to the overall GDP have been fueled by the multiplier effects of several factors. Amongst these factors include the over-exposure of banks to the oil sector, thereby suffering from both the direct and indirect impacts of sharp decline in oil prices and cut-back in oil production. Some banks’ lending to the oil sector represents more than one-third of their total lending, which have contributed to rising non-performing loans within the banking industry. Banks have also been feeling the impacts of recession in the manufacturing sector, which suffered from shortages of fuel, foreign exchange, and electricity, while the construction and real estate sectors are reeling from the delays in the release of budgeted capital outlays. Banks are not without their peculiar challenges, including insider abuse, writing off of bad loans from directors of banks, excessive executive compensation, while depositors are being fleeced. Recent regulatory actions driven by the need to be more development-focused and strengthening the role of banks in the economy have also compressed profit margin. Amongst these regulatory actions are removal of public sector funds via the Treasury Single Account and COT as well as curtailing of foreign exchange transactions, which have put pressure on earnings and profitability of banks. Some banks announced profit after tax that declined by more than 75 per cent for the year 2015. As a result, and with the need to downsize and right-size their organisations and improve future earnings and profits, several banks have been laying off staff. It is estimated that banks have sacked over 5,200 workers in recent months. A total of 1,400 workers had so far been reportedly sacked in the last two weeks. But this pales in comparison to the over half a million jobs lost within the first year of this administration. It also suggests the need to focus on speedily resuscitating and reflating the overall economy with counter-cyclical measures contained in the 2016 budget and undertaking structural reforms to improve long-term productivity and prosperity of all Nigerians. Meanwhile, dialogue among businesses, government, and representatives of workers, including National Employers Consultative Association, the Bankers’ Committee, and the Labour Unions is the solution instead of issuing counter-productive directives that neither have a basis in law in a free market economy, nor help any of the stakeholders.